If you are thinking about selling your house, the water heater is one of many items that have to be addressed in order obtain the highest price with the least amount of inconvenience and expedite the selling process in Oxnard CA. I wanted to share this situation to make many aware how something so simple as not strapping a water heater properly can cause a delay in the selling process of a house especially when dealing with an FHA loan. There are many more simple yet important items that need to be reviewed before selling a house, but this particular example is about a real case in which my client, the buyer, had the loan put on hold because the standards require double strapping- there was only one on the water heater when the appraiser did his work. This issue was noted on the appraiser’s report which then gets sent to the buyer’s lending representative. The loan is an FHA and is put on hold until the item is resolved by the seller of the property. This causes a delay for both parties and creates an extra fee for the buyer. As a seller, you want to have the water heater strapped properly to avoid delays making it easier and faster to process an FHA loan. You want to have your house ready and open to as many offers as possible to get the bests deal- FHA or Conventional. Ignoring simple items like these can keep away willing and able buyers to put an offer on the property. For a buyer, this is an inconvenience due to loss of time. They also incur an extra cost. The appraiser will have to return to inspect the property one more time to make sure the work has been completed and will issue a re-inspection report needed by the lender to approve the loan. The re-inspection fee normally gets paid by the buyer of the house. In this case the fee is about $150. It doesn’t break the bank but it can be avoided. It is critical to review a list of simple but critical items before selling a home. That is why I provide a Free No Obligation Consultation to review these items in detail. 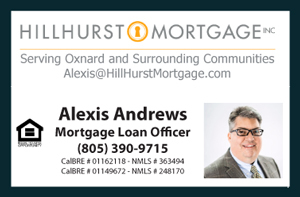 You may contact me directly for a Consultation at (805) 444-6366.